Janette Hopper's exhibit Natural Milieu, An Altered Point of View is on display at Wilma Daniels Gallery at CFCC. It is a mixed media exhibit, featuring 2-D and 3-D pieces, sound, and video, and the focus is the natural world. While Janette says her work often depicts nature in all its glory, this exhibit reveals troubles in the natural world. Janette is moderating a panel discussion connected to the exhibit called Perspectives on Overpopulation, Loss of Biodiversity and Stewardship on Wednesday, June 14 at Union Station, 4:00pm-6:00pm. The goal is to identify the greatest environmental concerns of our time and consider solutions. Panel members are Dr. Alina Szmant, UNCW Marine Biologist; Phoebe Hood, sea turtle rescuer and rehabilitator; Rhonda Sturgill from the Nature Conservancy; Dr. Lisa Ann Kelly, UNCP Biologist; Chantay Allen from Cape Fear River Watch; and Karola Luttringhaus, Artist and Founder/Director of Sarus Festival. Artist Janette Hopper moderates. 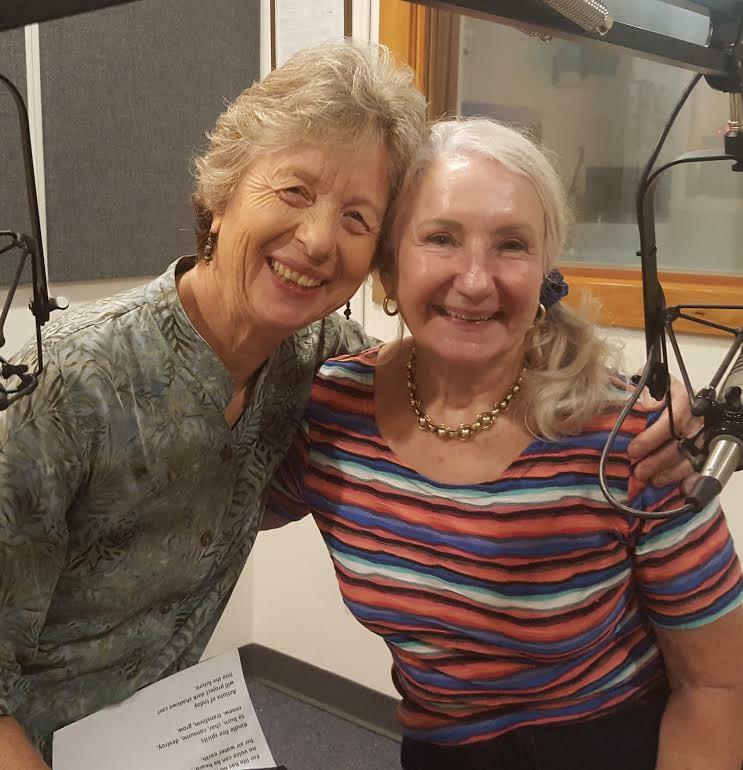 Listen to Janette Hopper and Dr. Alina Szmant talk about their environmental concerns, and one of the pieces in Janette's exhibit about sea turtles, above. 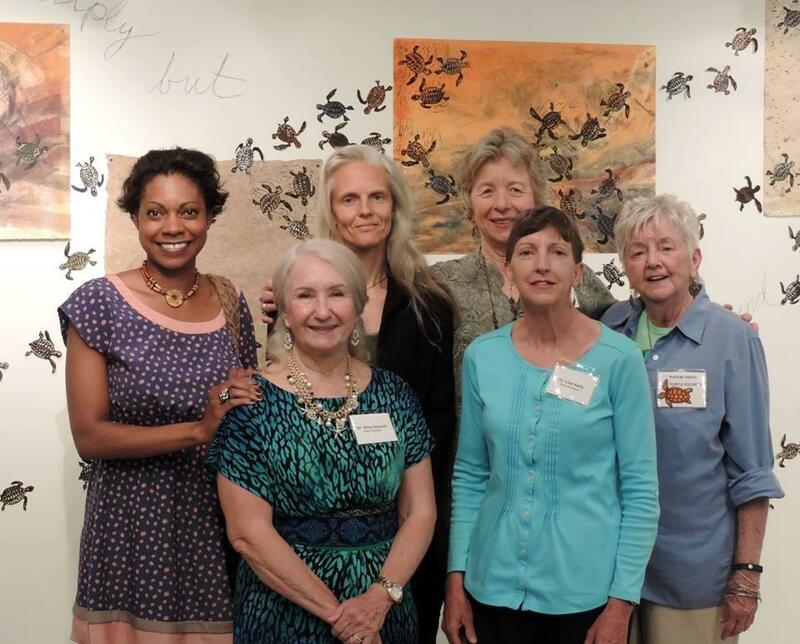 The exhibit at the Wilma Daniels Gallery can be viewed Monday-Friday, Noon to 5:00pm; the closing reception is Friday, June 23, 6:00pm-9:00pm. Panel discussion: Perspectives on Overpopulation, Loss of Biodiversity and Stewardship. Wednesday, June 14, 4:00pm-6:00pm at CFCC Union Station Auditorium at Red Cross & Front Streets. Room U170.